Washington, D.C. (December 13, 2017) – As state chiefs across the country work to advance equity for all students, policymakers can leverage personalized learning in policy and practice to better meet the needs of all students. Today, the Council of Chief State School Officers (CCSSO) and New Profit’s Reimagine Learning Fund in partnership with the America Forward coalition are jointly releasing a suite of resources that outline examples of how states can work to ensure personalized learning is achieving educational equity in the classroom. For two years, CCSSO’s Innovation Lab Network worked with New Profit’s Reimagine Learning Fund and the America Forward coalition to develop several resources intended for state and local policymakers interested in advancing equity through personalized, deeper learning. Advancing Equity through Personalized Learning, a suite of new resources from CCSSO and New Profit, includes a review of current literature and research, key policy considerations, and to-be-released case studies that highlight promising practices at the school and district levels to close opportunity and achievement gaps. CCSSO previously released Leading for Equity: Opportunities for State Chiefs, which details 10 commitments state chiefs can explore to ensure equity across the education system. These new resources build on the Leading for Equity commitments to specifically support states in CCSSO’s Innovation Lab Network (ILN), as well as other states, that are committed to transforming their systems to improve student-centered approaches to learning. State agencies can use Advancing Equity through Personalized Learning as a reference in adopting and refining policies and practices to ensure access to personalized learning for students who have been historically underserved, such as English Learners, students with disabilities, students of color, students living in poverty, and students impacted by trauma. Please find the resources here. The America Forward Coalition is a network of more than 70 innovative, impact-oriented organizations that foster innovation, identify more efficient and effective solutions, reward results, and catalyze cross-sector partnerships in education, early childhood, workforce development, youth development, and poverty alleviation. Our Coalition members are achieving measurable outcomes in more than 14,500 communities across the country every day, touching the lives of nearly 8 million Americans each year. We believe that innovative policy approaches can transform these local results into national change and propel all of America forward. Reimagine Learning exists to put the diverse needs of our most vulnerable K-12 students at the center of the national dialogue about the future of learning in the U.S. We support communities and schools to create teaching and learning environments that unleash creativity and potential in all students – including and especially those who have been systematically underserved – enabling them to realize academic and life success. Reimagine Learning is a five-year, $35M fund launched in 2013 by New Profit and a set of funder and practitioner partners focused on spreading practices that support the success of the most vulnerable students. Reimagine Learning has grown into a cross-sector network of over 500 education leaders focused on transforming the understanding of learners that drives the design of schools and school systems. 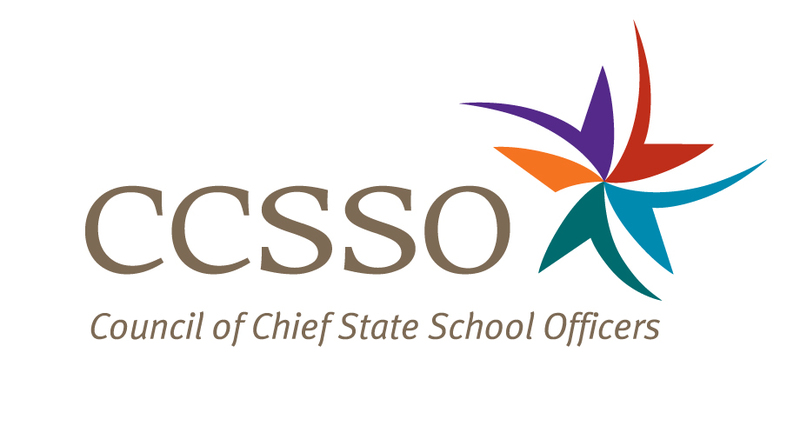 The Council of Chief State School Officers (CCSSO) is a nonpartisan, nationwide nonprofit organization of public officials who head departments of elementary and secondary education in the states, the District of Columbia, the Department of Defense Education Activity, and five U.S. extra-state jurisdictions. CCSSO provides leadership, advocacy, and technical assistance on major educational issues. The Council seeks member consensus on major educational issues and expresses their views to civic and professional organizations, federal agencies, Congress, and the public. The Innovation Lab Network (ILN) is a CCSSO multistate collaborate that supports state education agencies support and scale locally-led, innovative practices in teaching and learning. The purpose of the ILN is to transform public education systems with the intention of meeting the needs of every student and giving them the tools they need to be successful in college, career, and life.